IRPs can, and must, move at the speed of distributed technology. In a striking move earlier this year, Arizona regulators did not endorse the state’s major utilities’ long-term resource plans. The rebuke of the utilities’ integrated resource plans (IRPs) came along with a short-term freeze on new natural gas plants larger than 150 megawatts. In the two years since the IRPs began to form, the cost of energy storage had fallen dramatically — just one example of how new technologies are outpacing planning timelines. Arizona, a state awash in distributed solar and with a far-reaching Energy Modernization Plan in front of regulators, is not alone. 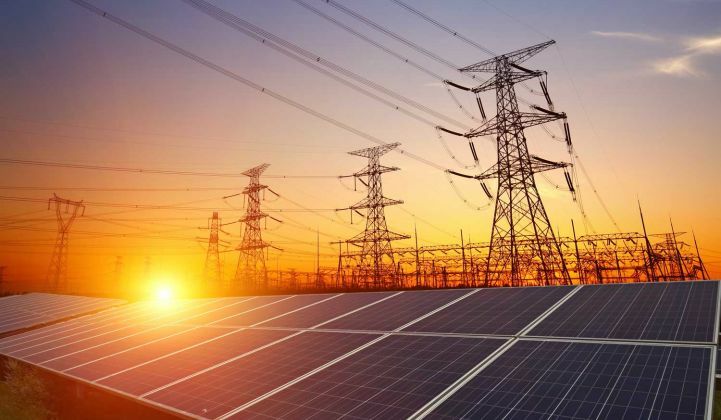 No matter the level of penetration of distributed energy resources like solar PV, battery storage and electric vehicles, most utilities and regulators are grappling with modernizing the IRP process to meet the changing market. More than 30 state commissions currently require an IRP strategy, while simultaneously mandating and/or incentivizing growing levels of decentralized and distributed energy resources (DERs). It’s not a matter of simply focusing more on the near term or filing these road maps more often. It is a multi-year journey that requires rethinking entire utility operations. According to Vicinus, one key issue is the mismatch between planning horizons for different aspects of utility operations. While generation planning is often at a 20- or even 30-year horizon, transmission planning might be a five- to seven-year view and distribution planning even less. As more DERs come onto the distribution grid, the planning horizons have to align among all operational areas. “To get that alignment, there has to be a cultural change in the vision for how long and how detailed the forecasts have to be,” said Vicinus. Another problem with the horizons for planning is that the cost curve for DERs such as solar PV and energy storage can change dramatically in just a few years. For instance, natural gas may be the cheapest option for peak load today; however, that may not be the case two or five years out, thus making an IRP obsolete before it is approved. Most utilities have assumed that overhauling and aligning the planning across generation, transmission and distribution (GT&D) takes a long time. Siemens has found it is about a one- to two-year process for most clients to rework their separate planning activities into a more integrated GT&D planning approach. Michael Carlson, president of Siemens Digital Grid, recently discussed best practices for evolving the integrated planning process during a fireside chat at GTM’s Grid Edge Innovation Summit. The logical place to start is by defining where planning processes are headed, not just for current needs but for the changes coming in five years or more. A well-defined road map to this planning process can identify the cultural, technological and programmatic practices that need to be improved, or reworked entirely, to produce more holistic integrated plans for GT&D. The cultural aspect of the road map should not be discounted. Most distribution and generation planners never sit together to hash it out. Once everyone is working together, the data, the forecasts and the models have to be aligned. It is not just the horizons for the plans that need to be reconciled — the data sources that flow into the models are rarely compatible. Especially in the case of distribution circuits, the data is likely not temporally or spatially granular enough to accurately evaluate DERs moving forward. Even if the data can be aligned, it then has to be able to move back and forth between planning models to support the updates and iterations required as the energy landscape changes with increasing speed. For utilities in the majority of states, IRPs are mandated by regulators. But the breadth and scope of IRPs vary widely. In most cases, utilities need to rethink their relationship with both regulators and their customer stakeholders as they modernize the IRP process, rather than delaying that engagement. Taking a proactive approach need not stop at the public utility commission. Stakeholders of all sizes, including large commercial customers and consumer groups, should also be consulted early and often. Many regulators offer a review period for IRPs, but Siemens Energy Business Advisory maintains that stakeholder involvement is a valuable opportunity for utilities to improve their planning and gain a valuable communication link to their customers.